Thomas the tank engine made another appearance at Lancaster counties Strasburg Railroad recently and I was lucky enough to be driving by on a side road when I noticed this group of Amish boys waiting for the train to come. 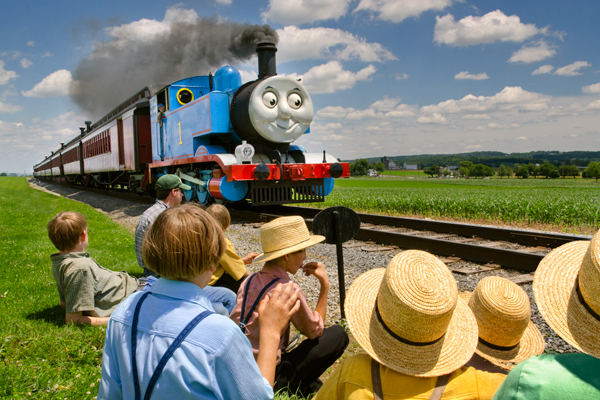 The entire crew of youngsters had just placed multiple pennies on the tracks as I was getting out of my car,and if you look closely at the boy in the pink shirt,you can see him looking at his penny on the tracks as Thomas approaches. I walked up behind them with my attention looking down the tracks so as to act uninterested and as the train got closer, I got into position to capture them enjoying the passing locomotive. 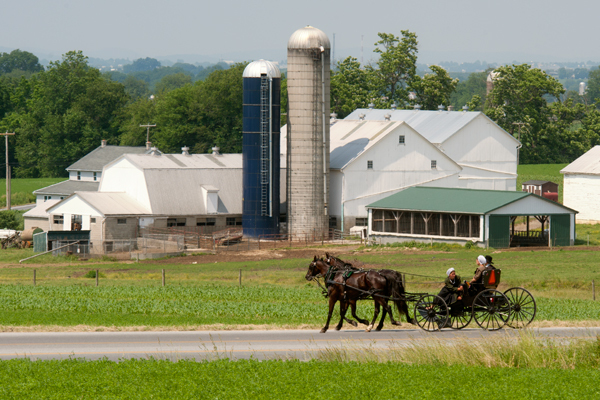 The rumored Amish Mafia might have been caught on camera by me as they prepared to launch a sneak attack on an unsuspecting tourist buggy. 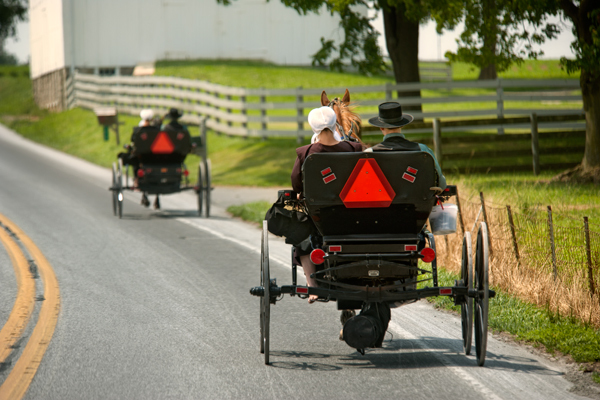 Tourists love to take these buggy rides through the countryside here, and I can’t blame them,but now that discovery channel has the show Amish mafia, folks are worried they might run into this gang of outlaws. Here they have what I can only guess is some sort of explosive device,and I believe they are trying to get close enough to take out a dozen tourists at once. 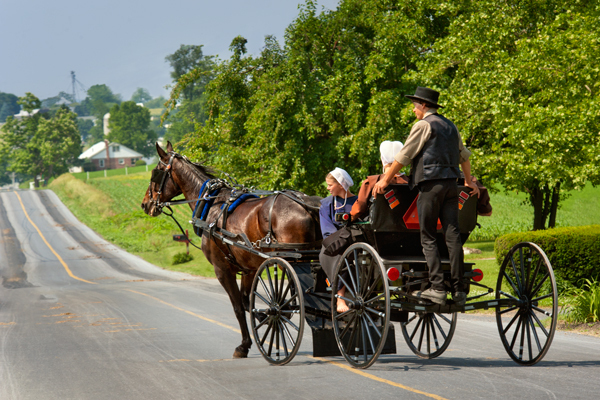 If you read the above info and are stupid enough to believe any of it, please watch Amish Mafia for your fill of the most idiotic program on TV. 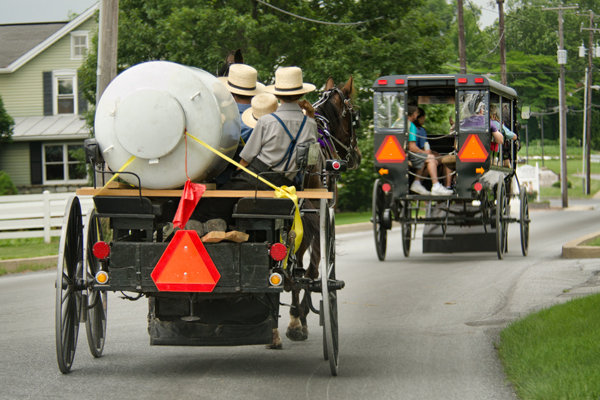 Oh,by the way,they are really headed for a propane refill but if you live in a fantasy world and insist on believing there really is such a thing as an Amish mafia,that’s your choice. On a sunday evening out, there are a few things you want to have. The first is a bucket of pretzels,hanging on the right, a bag of goodies hanging on the left, the volleyball net,hanging underneath and of course your best man on your right. Have these things,and an evening of fun is just around the bend. 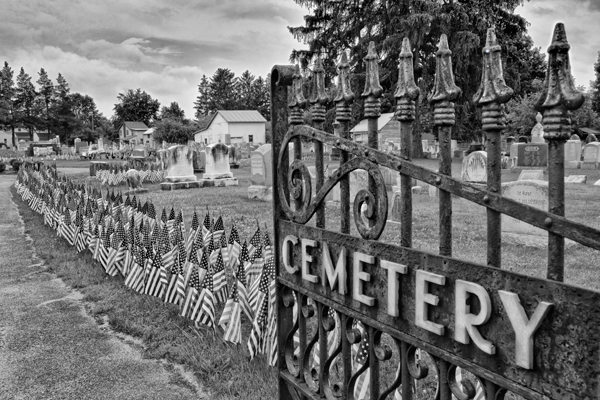 Flags by the hundreds are placed in this local cemetery in honor of those who fought for our freedom.